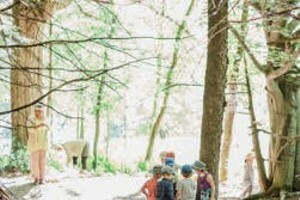 Fun on the Run | Fit Families | Kids VT - small people, big ideas! Parades are a familiar sight in the week leading up to July 4. So, too, are fun runs. Many towns host both on the same day. Tom Thurston, race director for Waterbury's Green Mountain Mile, says tying the kid-friendly contests to a big festival makes sense. "Having the roads already closed for the parade makes a perfect opportunity for a race," he observes. Without traffic, he continues, it's "a safe venue for kids." Being connected to a parade guarantees a crowd. During the Green Mountain Mile, the sidewalks in Waterbury are always lined with cheering onlookers. That makes it especially encouraging for younger runners. Most of the kids don't even care about their time — there are no chips or digital bars on bibs here; their pride comes from completing the mile. That's a task made easier by the spectators. Both chins and paces pick up where the crowd cheers the loudest. My husband and I both love running, and the Green Mountain Mile has been a positive way to introduce our daughters to the sport. Over the years the girls and I have run the race, I've gone from holding their hands to giving them space; now they're asserting their own independence. My oldest, now 8, runs ahead of me with her friends. My youngest — a 6-year-old who watched from her stroller the first few years — asks me to stop talking, especially when it comes to recommendations about pace. Joy Dubin Grossman, youth director of RunVermont, agrees with her. It's normal for parents to want to encourage kids and give them constant coaching, but she warns against it. "Avoid pushing your child," Dubin Grossman advises. "It's your child's race, not yours. You want them to have fun and be hungry for more." Veteran Green Mountain Mile racer Ian Rossi, age 11, has his own advice for other kids: "Never give up," he says. "Make the most of it, and keep a pace from the beginning to end." His tips are important for the final leg of the race, which ends on Bank Hill in the middle of town. That last uphill requires effort, but every kid who finishes earns a handmade medal. On a day filled with fireworks and festivities, that's one more thing to celebrate. Green Mountain Mile: A one-mile race on Saturday, June 29, 10:45 a.m., starts at Ice Center Access Road off of South Main Street in Waterbury. Proceeds benefit Thatcher Brook Primary School's cross-country ski program. Info, sites.google.com/a/wdsdvt.net/tbps. Huntington Race 4 Sundaes: Saturday, June 29, one-mile walk/run begins at 8:30 a.m.; 5k and 10K races begin at 9 a.m., 4960 Main Road in Huntington. All runners get a free sundae. Proceeds benefit Neighbor Helping Neighbor. Info, huntingtonrace4sundaes.weebly.com. Montpelier Mile: A one-mile race on Wednesday, July 3, 6 p.m. on State Street in Montpelier. Info, onionriver.com. Firecracker 5K Fun Run: A 5K on Wednesday, July 3, 6 p.m. at Williston Community Park Field House on Central School Drive in Williston Village. Info, town.williston.vt.us. 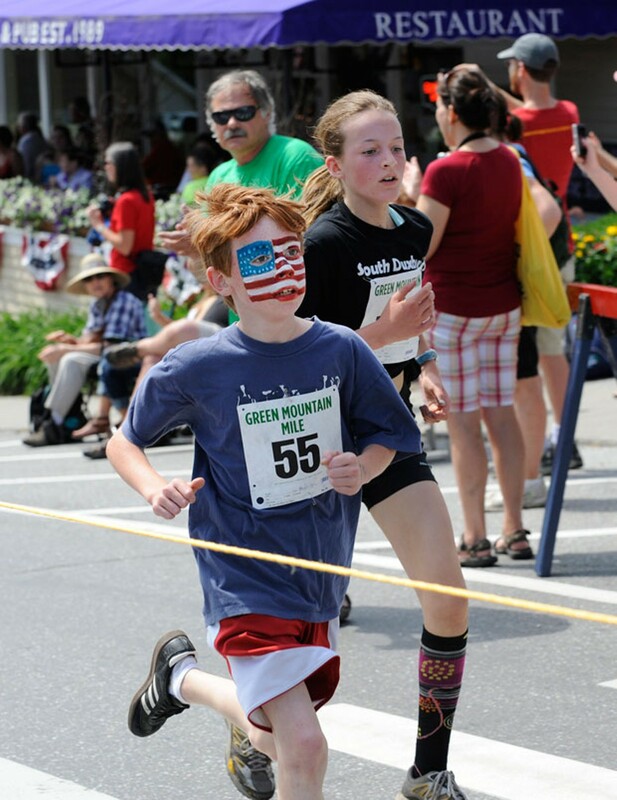 Richmond Fun Run: A one-mile race on Thursday, July 4, 10:30 a.m., at Richmond Elementary School. Info, 434-2221. Apply sunscreen before the run and bring extra along if you'll be out all day. Secure shoelaces with double knots. Wear a comfortable outfit, preferably one that wicks away sweat. Bring a water bottle. Mile races aren't required to have a water stop, and parade viewing is usually a long, hot pastime.